David Whitehead as Walter Burns, Chuck O’Toole as Hildy Johnson and Jaclyn Robertson as Peggy Wood. Photo by Chip Gertzog. Dateline Falls Church – April 13, 2018, It is another hit from the Providence Players. 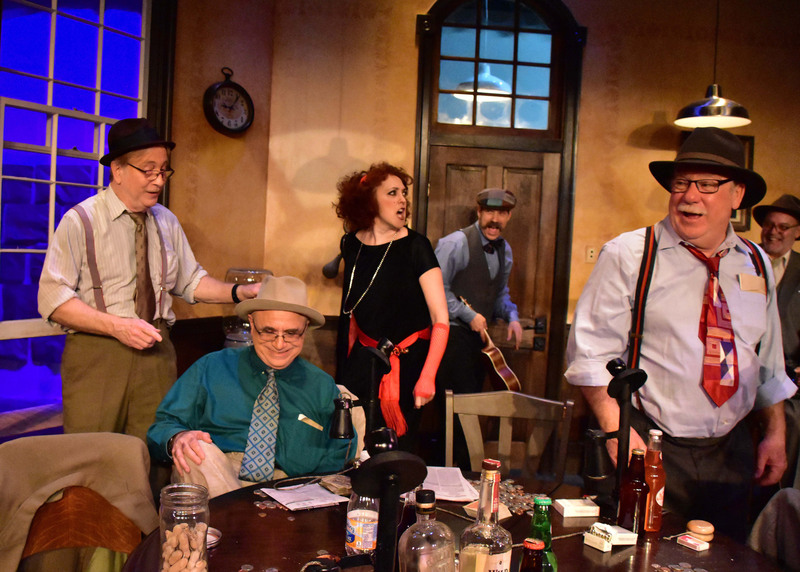 Nearly 500 theatergoers have enjoyed the third production in the Providence Players 20th anniversary season, the classic comedy The Front Page. Audience members raved about the acting with one theatergoer commenting “The dialog is so faced paced and the actors so natural, they pull you into their world. 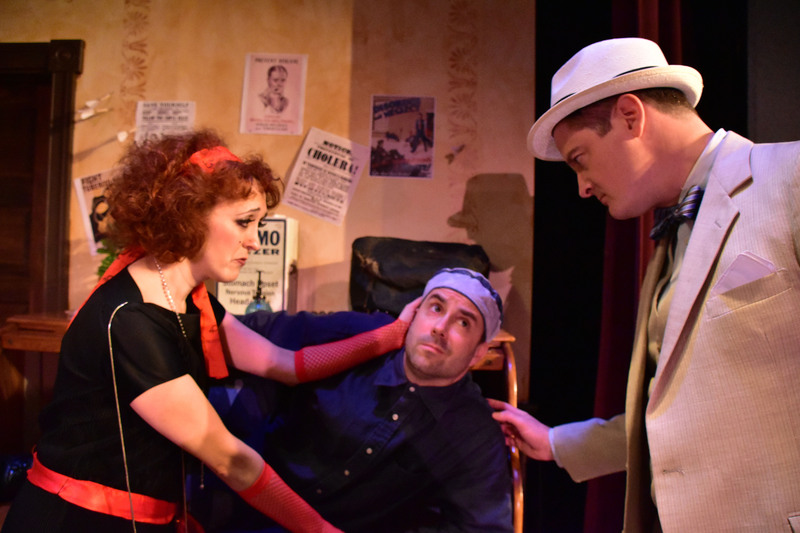 You feel like it is 1928 in Chicago.” But the key to this classic comedy’s success is the direction of Michael Donahue who quite simply has the cast “crackin it” from opening curtain to the final bow. This is a must-see Providence Players production. 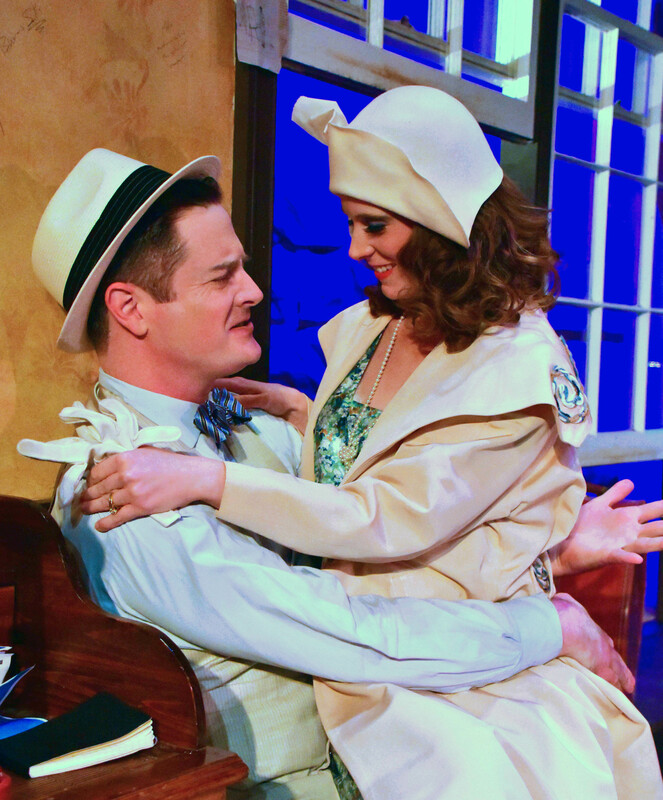 Chuck O’Toole as Hildy Johnson and Jaclyn Robertson as Peggy Grant in the PPF production of “The Front Page.” Photo by Chip Gertzog. Stop the presses for classic comedy! In a crowded 1920s Chicago Criminal Courts pressroom, managing editor Walter Burns fights to keep star reporter Hildy Johnson from breaking free from journalism to get married. Everything changes when there’s a jailbreak and condemned convict Earl Williams falls into the reporter’s hands. Hildy’s daunting challenge now is to get Williams out of the building to a safe place for an interview before rival reporters or trigger-happy policemen discover him. The Front Page hilariously parodies Windy City corruption, politics and journalism and is loaded with fast paced hijinks, crisp dialog and sharp humor. 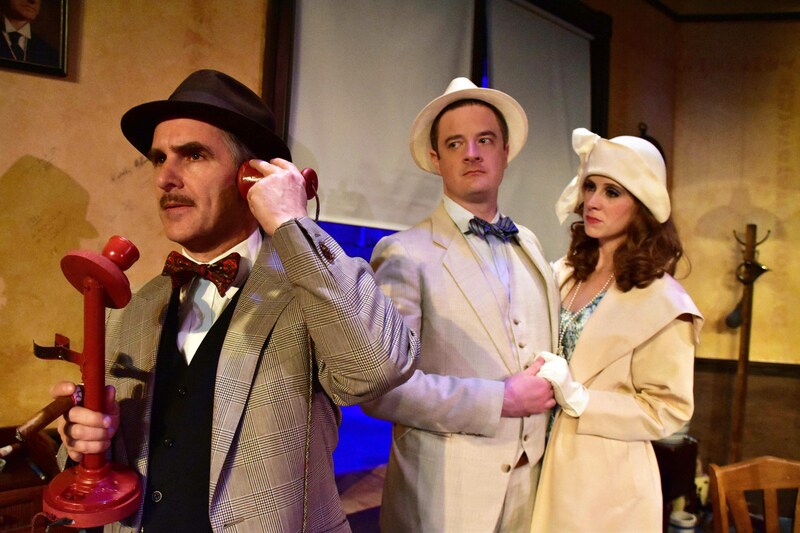 The Providence Players continue their 20th anniversary season with this irresistible comedy of both stage and screen fame. at the James Lee Community Center Theater in Falls Church.